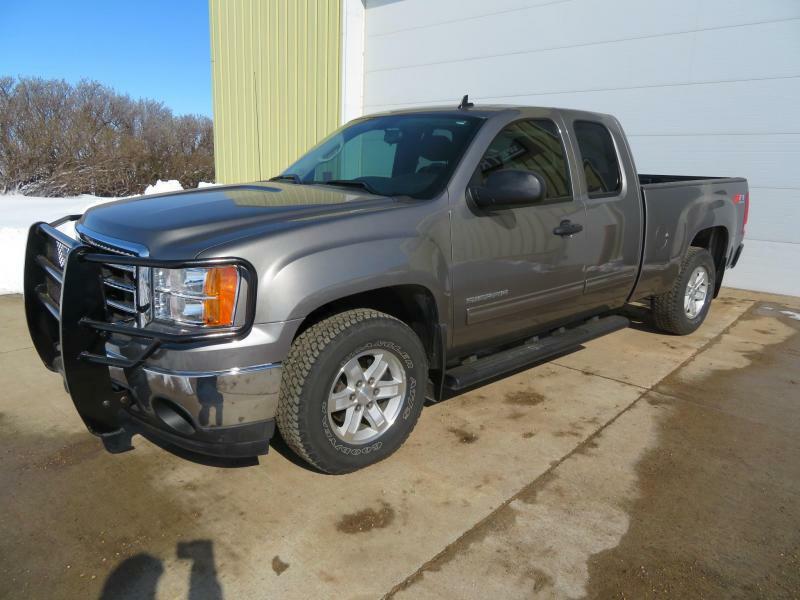 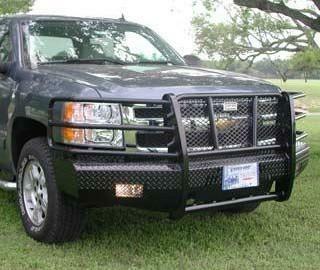 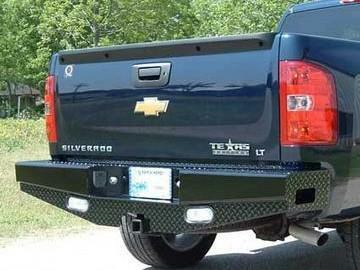 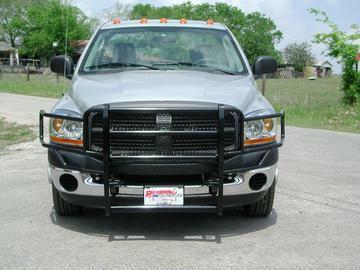 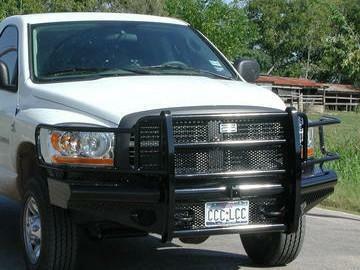 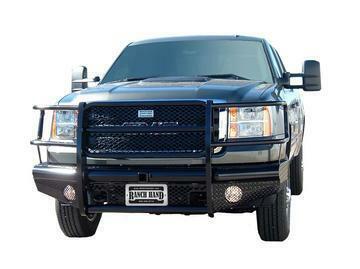 Ranch Hand combines durability and protection with the sleek lines that compliment your vehicle. 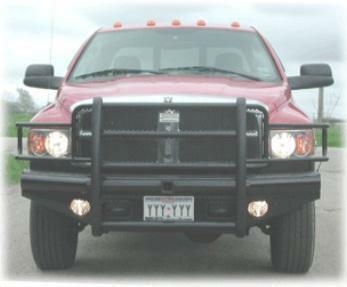 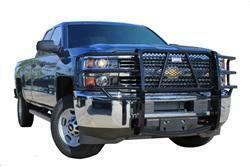 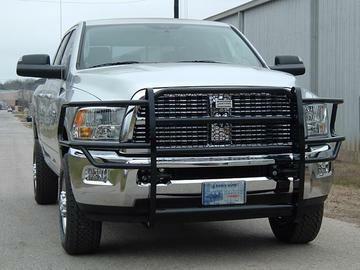 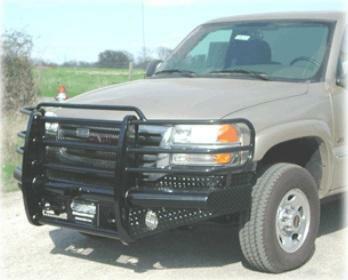 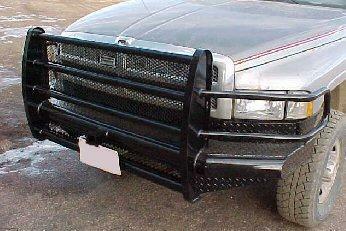 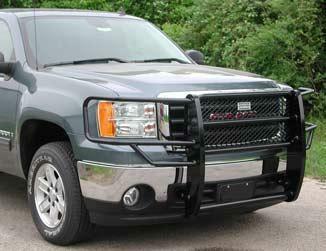 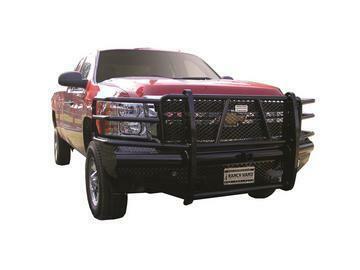 Each Ranch Hand Grille Guard is finished with the highest quality super polyester black pearl powder coating available today for superior corrosion resistance. 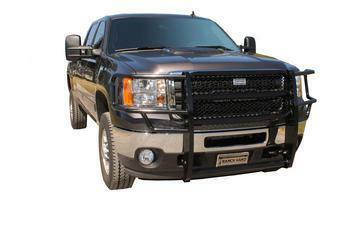 Standard features include a custom punch plate grille insert designed to match your vehicles' billet grille, wrap around loop design, support loops, and frame mounting. 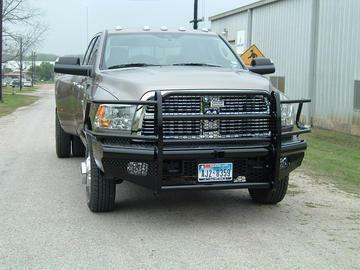 Options include Euro light guards, a black Hammertone wrinkle finish, and rubber bumper pads on uprights.